Here at The Wardrobe, we appreciate that not all body types are suited to the modern ready-to- wear market. 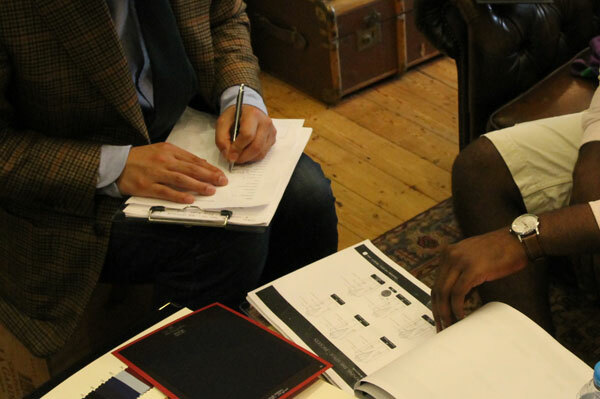 Made-to- Measure is an option that has sandwiched itself between standard ready-to- wear suiting and classic bespoke tailoring, meaning it’ll fit you better than the former and be more cost effective than the latter. The process begins with the trying on of our House block - a cut that is not too full and not too slim, a shoulder that has the slightest hint of roping and a 3-rolling- 2 button closure or our classic 2 button model. Here we take your measurements and modify the garment to suit the nooks and crannies of your body. 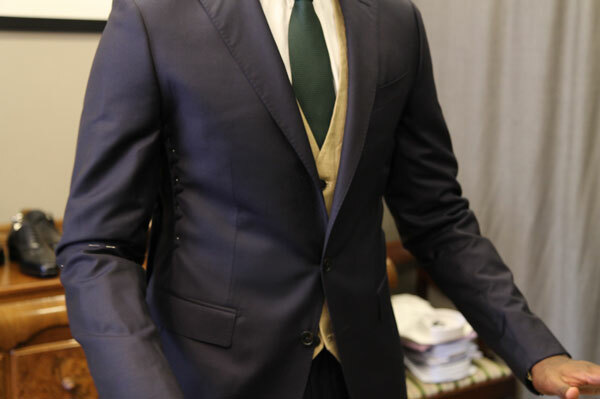 The rest of the process consists of choosing the construction of the jacket and how it will be styled. Whether you’d like half or full canvas, British or Italian fabric, or horn or corozzo buttons, we will cover all of your interests and needs. The Elegant Stitch tailor shop located at 30 Broadway in Wimbledon town is a comfortable place for this experience to take place in, but if for any reason you are unable to make it to Wimbledon we are more than happy to come to you whether it be at your place of work or home - just contact us via email or give us a call. Suits start from £750 for half canvas and £900 for full canvas; Jackets from £550 and £700 respectively; Trousers start from £225.